Is it REALLY a discounted cost if you have to pay a membership fee? 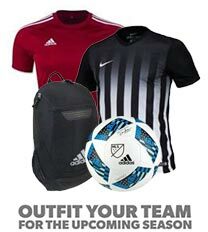 So many other soccer websites boast about offering a 10% discount on their shoes, jerseys, and more for people who are part of their rewards program. Joining their rewards program only requires you to fill out an online registration and pay a $20+ membership fee. So essentially, to earn the $10 discount on that new replica jersey for your kid’s birthday, you only have to pay $20 upfront? Seem a little backwards to you? We thought so. 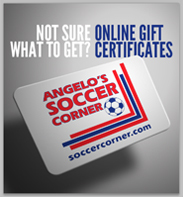 So here on soccercorner.com we decided to offer you that same 10% discount on all of your purchases without any membership fees and it starts with your first order. After you place your first order with us you’re immediately become a member of our Frequent Buyer Program, which will make your future checkout process faster and easier and gives you the option of receiving special discounts through email. No upfront costs, no monthly membership fee or minimum purchase amount, just savings and an easy checkout process. And the already 10% discount on every product isn’t the only benefit. You’ll also earn points with every purchase that can be saved up and redeemed for FREE gear. Also, our Frequent Buyer Program members get FREE standard shipping on all orders over $50 shipped in the United States and Puerto Rico. So to recap, we’ll give you 10% off on all purchases, with free standard shipping for all deals over $50, while giving you points for every purchase you make that can be redeemed for free gear and exclusive deals through email. And what will it cost you? The time it takes you to enter your standard billing information, an email address, and a password. Yeah, we think that’s a pretty good deal too.